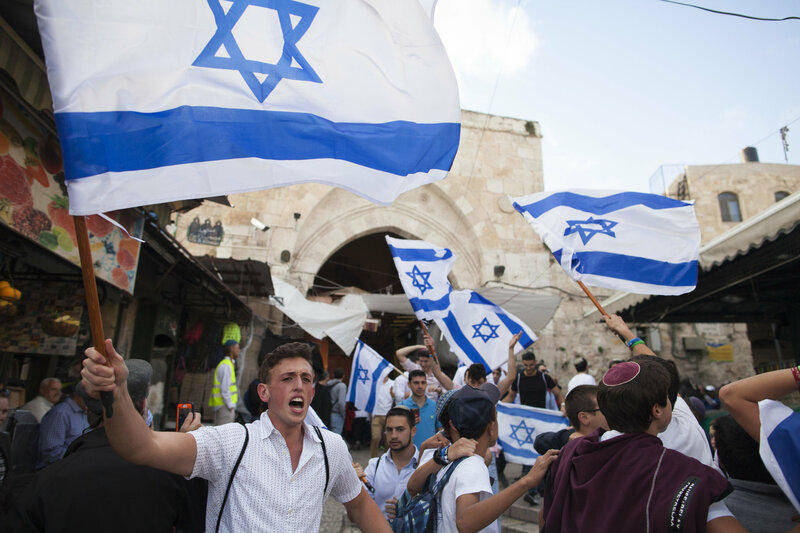 Israelis marching at Damascus Gate in Jerusalem in May to mark the occupation of East Jerusalem in 1967 (Lior Mizrahi/Getty Images). We were driving our rental car out of Ben Gurion Airport near Tel Aviv. “It’s a little complicated,” I tried to explain. Sayed Kashua is a writer and a Palestinian citizen of Israel. Mr. Kashua is the author, most recently, of “Native: Dispatches From an Israeli-Palestinian Life.” This essay was translated by Jessica Cohen from the Hebrew. This entry was posted in MRSCP and tagged Apartheid, Human Rights by admin. Bookmark the permalink.